I’m a freelance writer who loves travelling. Check out my travel blog at www.localtraveltips.wordpress.com - and if you enjoy my articles please subscribe so you don't miss any! 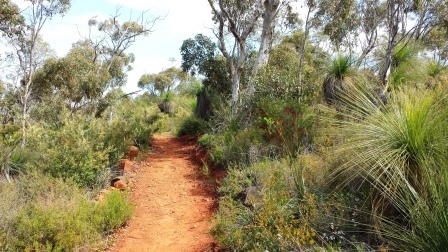 The Eagle View Walk Trail is a 15-kilometre bush walking circuit in John Forrest National Park, only a 30 minute drive east of Perth. 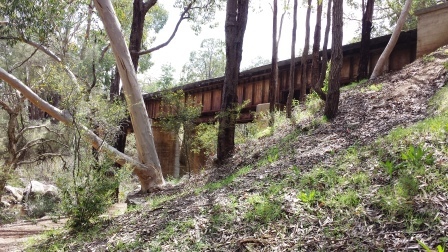 It was conceived, designed and constructed by the Perth Bushwalkers' Club and completed in 1998. 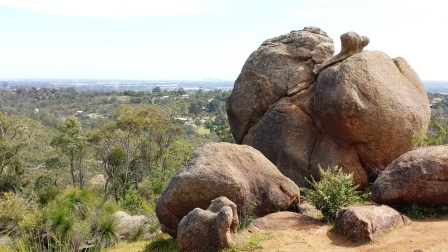 Taking in some of the Park's less explored destinations, the Eagle View Walk Trail is one of Perth's most popular hiking trails. 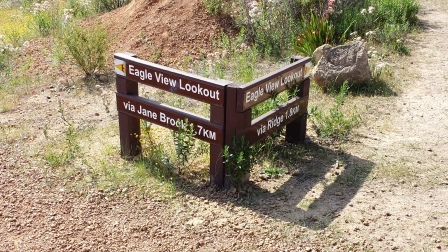 The trail was called Eagle View Walk Trail because a wedge-tail eagle's nest at the top of a wandoo tree could be seen at a particular point of the trail. Unfortunately, the tree and the nest were destroyed by a big bush fire, but wedge-tail eagles can sometimes be seen overhead. In some sections the trail uses management tracks which run throughout the park, while other sections are purpose-built as walking tracks. The trail is marked by a yellow triangle with a silhouette of an eagle on it and the trail can be walked clockwise or anti-clockwise. 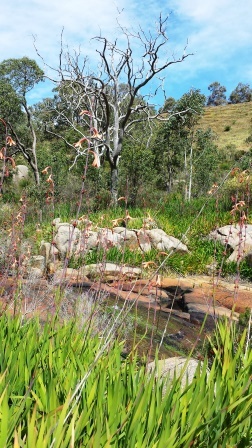 It is fairly challenging so allow plenty of time for the hike. The Department of Environment and Conservation's brochure about the walk recommends allowing 4.5 to 7 hours to complete the circuit, depending on your level of fitness … and how many photos you take. 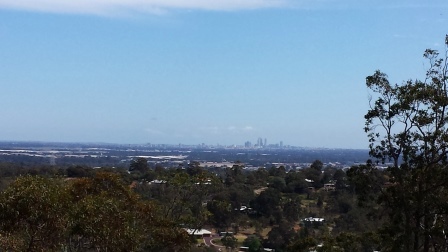 If you don't have the time (or the energy) to walk all of the trail, you could just walk to the view point, where there are great views across the John Forrest National Park and over the Swan Coastal Plain to Perth city. To get to the view point, take the anti-clockwise route by following the signs for the Heritage Trail then branching off when you see the Eagle View Walk Trail markers. It is about 4.5 kilometres to the viewpoint, then you can retrace your steps. The best times to walk the trail are in late winter (August to October) or early spring when the wild flowers are out (April to May). 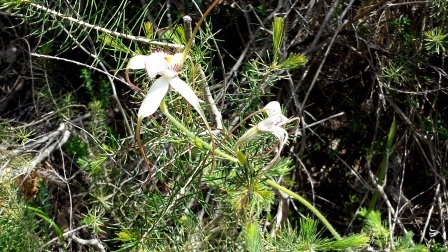 You may even be lucky enough to see orchids. Take a daypack to carry your food, water (at least 2 litres per person is recommended) and sunscreen. Wear strong shoes (not sandals or thongs), sleeves and a wide-brimmed hat. It is not advisable to attempt this trail in the summer, and if you walk it in the winter months make sure you carry waterproofs and warm clothing. There is a registration point for the Eagle View Walk Trail on the verandah of the ranger's office. Signing the book is primarily for your protection and safety. Toilets are available opposite the ranger's office. National Park entry fees apply.